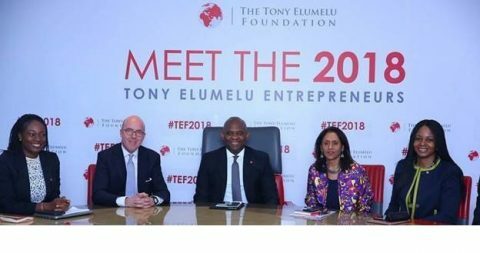 Photo: L-R: Director of Partnerships, Tony Elumelu Foundation (TEF), Mrs Ifeyinwa Ugochukwu; Member, Board of Trustees, TEF, Mr. Alex Trotter; Founder, TEF, Mr. Tony Elumelu; CEO, TEF, Parminder Vir; and Member, Board of Trustees and wife of the Founder, Dr Awele Elumelu, during the selection announcement of (TEF) 10-year, $100 million Entrepreneurship Programme, held in Lagos. 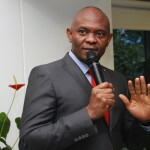 Lagos, Nigeria, (AFRICAN EXAMINER) — More than 150,000 Africans from 114 countries worldwide applied to join the 4th ‎cycle of The Tony Elumelu Foundation’s (TEF) 10-year, $100 million TEF Entrepreneurship Programme. 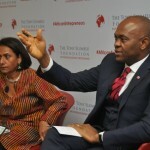 Today, the Foundation announced the African entrepreneurs with the most innovative, high-potential business ideas. 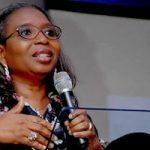 * $5,000 seed capital is calculated on the official Central Bank of Nigeria naira equivalent value at the date of selection for the programme.